The series of table of mixing R of Wharfedale was created to offer an optimum audio quality whatever the circumstances. 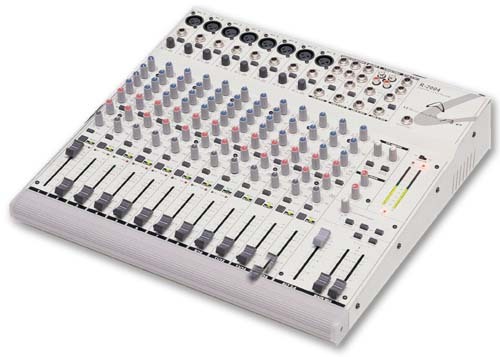 That Ci is such as the mixeurs can be used for various applications such as the studio, wiring for sound, the video audio production, etc... Symmetrical connector industry XLR and Jack in entry and symmetrical XLR at exit allow a perfect integration with the professional equipment. - 8 symmetrical audio inputs + 8 entries line. - 4 pairs of stereo entries. - equalizer 3 bands for each channel. - Bar graph 10 segments. - Cursors 60mm high quality. - Kit rack 19 inches included.